Snaps to Skechers for designing performance athletic shoes that double as Texans gameday gear. The Skechers GOrun Forza 2 limited-edition 2017 Chevron Houston Marathon shoe. Confession: before this week I didn't know that Skechers is the official footwear and apparel sponsor for the Chevron Houston Marathon, despite the fact that they've been onboard since 2013 and will continue to support the race at least through 2019. 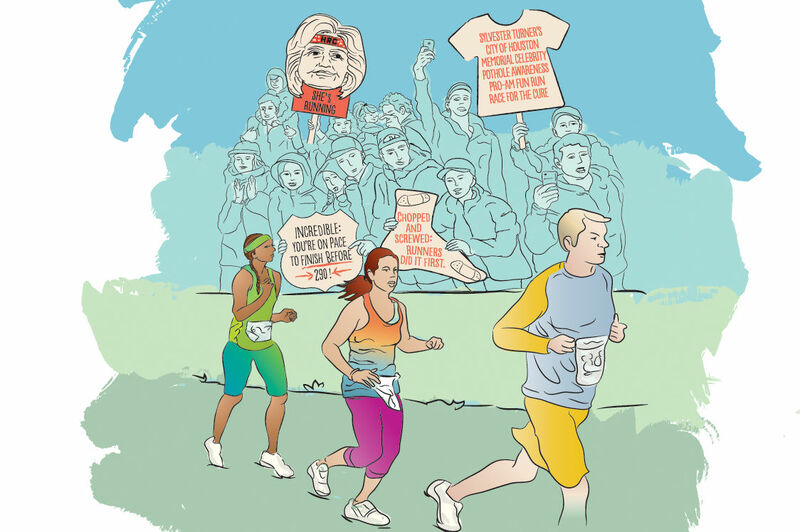 But then again, I'm not a run-26-miles person, nor am I a wake-up-early-and-hold-signs person. I'm more of a "Do you think the marathoners have made it through Montrose so we can go get brunch?" person. However, I am also the kind of person who loves a good shoe, even if you're supposed to run while wearing it, and that definitely includes the Skechers limited-edition 2017 Chevron Houston Marathon kicks. 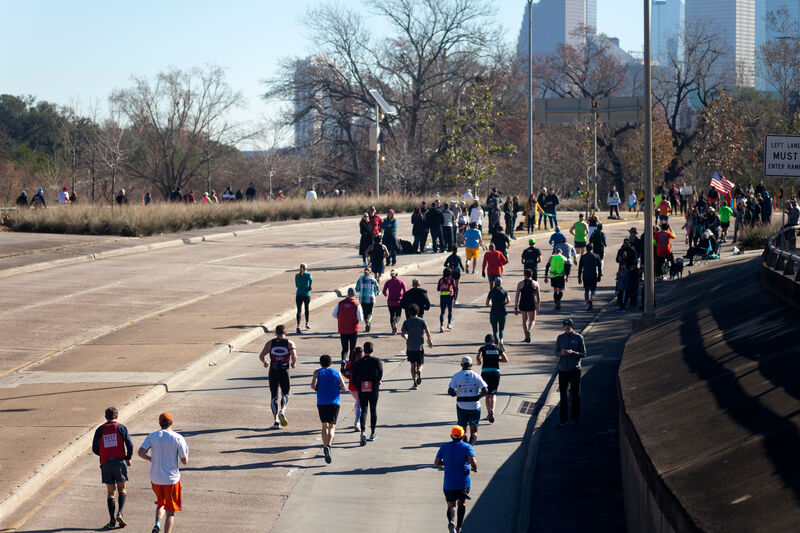 Head to the Chevron Houston Marathon website and click on "shop" to see the full range of event-branded merchandise—though if you're looking for a cute, commemorative t-shirt for women without a super-low-cut v-neck, sorry, you're out of luck. 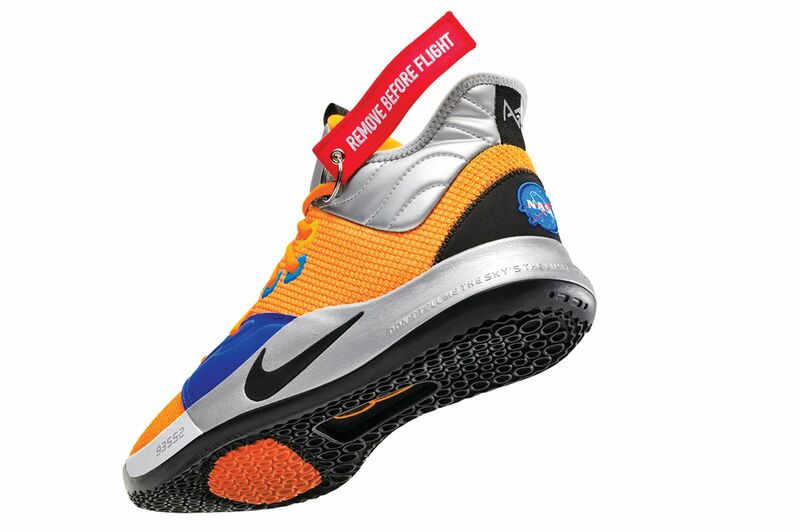 It's all nice looking, but I have to say that the shoes are the stand-outs. 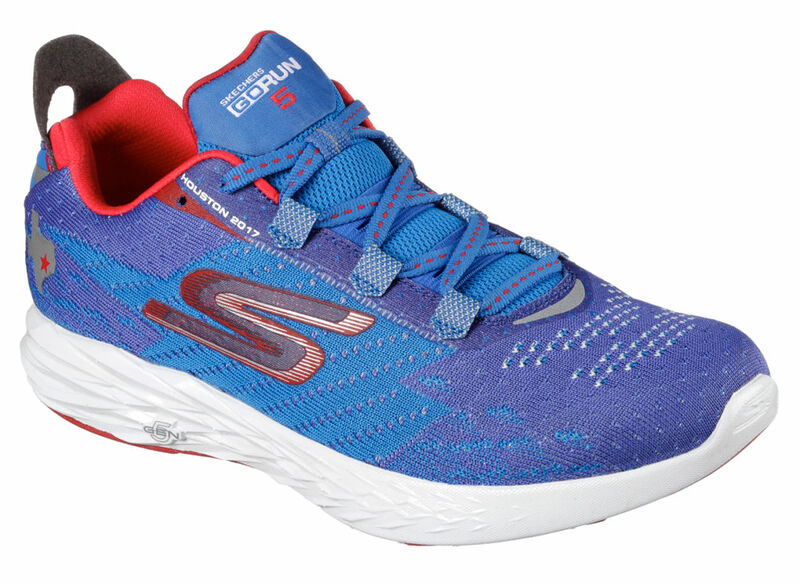 The 2016 Skechers limited-edition GOrun 5 was not super successful in my view—the signature red and blue were blended into a purplish hue that read less plum and more grape Gatorade puke, on top of a pattern of triangles that made the whole shoe just a little too much. This year's version ($100) is much better. 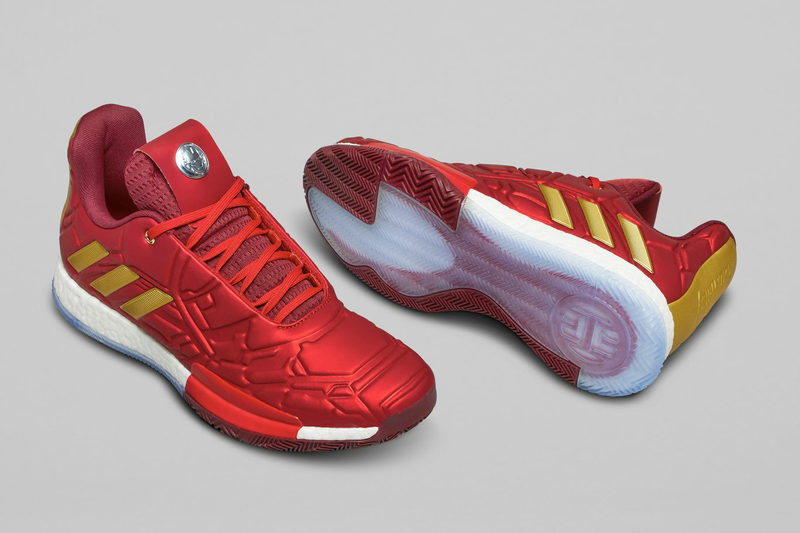 The sneaker is rendered in a sort of ombre two-tone blue, with red details and a sweet red and white sole. Also I should perhaps mention that this shoe, per Skechers, is designed to "promote a midfoot strike while offering cushioning and impact protection," and that its gore construction is designed to hug your foot securely. The Skechers GOrun 5 limited-edition 2017 Chevron Houston Marathon design. 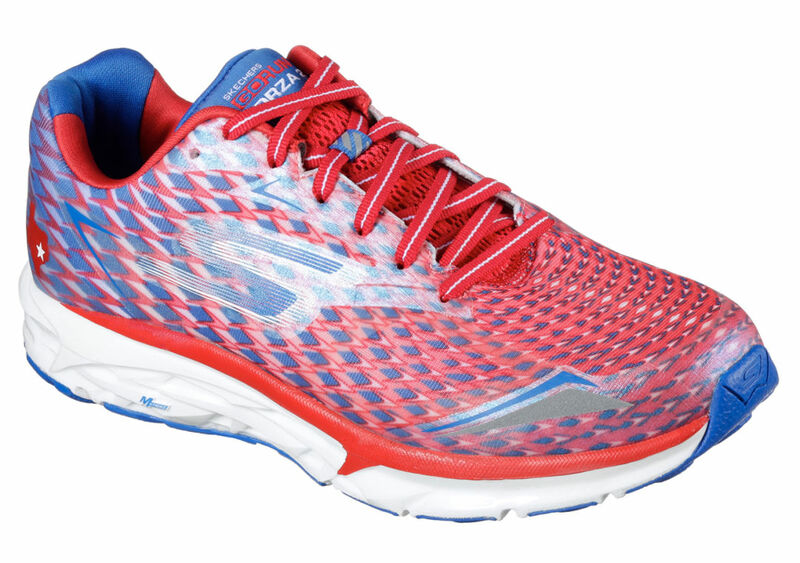 The GOrun Forza 2 ($115) is the other Skechers performance shoe made in a Chevron Houston Marathon version, and although it may offer better stability, I'm less into its design. It's covered in a mesh pattern of mostly red (men's) and red-blue (women's) intersecting lines that I would call very Olympic and Tim Gunn might call "a lot of look." However, both styles have a little white Texas with a red star over Houston, which as we know adds +5 cool points to any home or wearable accessory. But my favorite thing about both shoes is that the color scheme of the Chevron Houston Marathon conveniently aligns with that of the Houston Texans (albeit in a lighter shade of blue), making them perfect not only for beginner and expert runners—the GOrun Forza 2 is the official training shoe of elite marathoner Kara Goucher—but also an excellent choice to wear on Texans gameday this weekend. Especially when you have to beat everyone else to the guacamole during a commercial break.